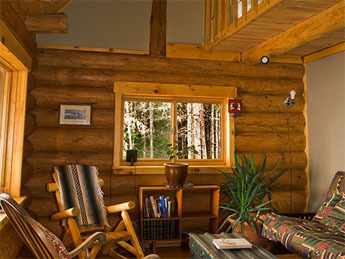 are nestled privately in a mixed forest at least 400 feet of forest between cabins. 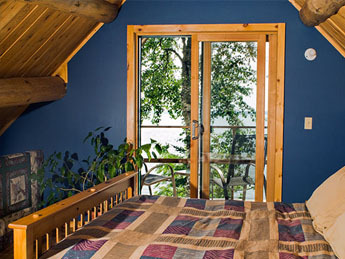 have three piece indoor washrooms which include eco friendly composting toilets. NOTE: All guests have free use of our canoe, kayaks and use of our park pass on a 1st come 1st serve basis. 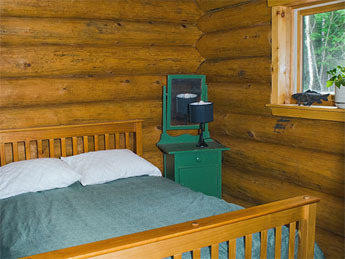 All cabins rented for one week (as indicated) the 7th night is free. 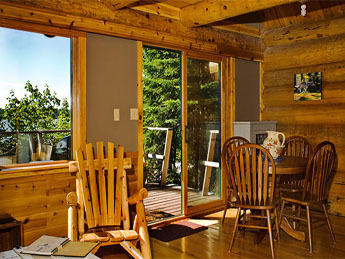 2 Nights Rate plus $200 (available in all cabins). All rates are subject to HST tax of 13%. 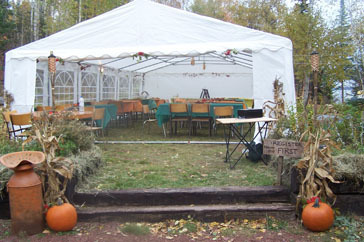 A 20' by 40' tent is available for parties of up to 100 people; small weddings, family reunions, anniversaries, birthdays etc. Call or email for details. Deposit of 50% by E-Transfer, VISA / MASTERCARD or personal check or money order required within two weeks of making reservations. Upon receipt of deposit a notice of confirmation will be emailed out. Balance is due upon arrival. We prefer Cash, E-Transfer, VISA / MASTERCARD, travelers cheques, money orders or certified checks for final payment. CANCELLATIONS: Refund less $50.00 service fee with 45 days prior notice. 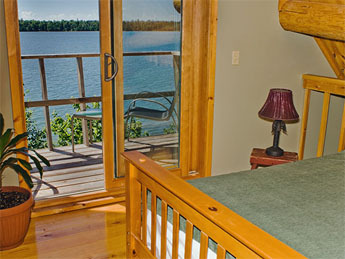 If we can re-rent the cabin we will refund your deposit with less than 45 days notice. 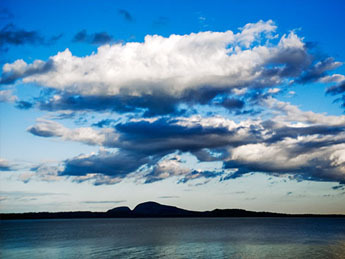 Looking out on a quiet inlet from a majestic shoreline, cedar is perfect to picnic under and enjoy an outdoor fire. 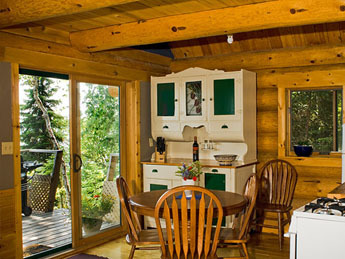 This cabin is an ideal romantic getaway for two but can accommodate four. 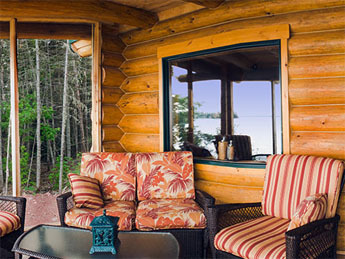 The cabin provides a beautiful view of the entrance channel to Black Bay and a series of prominent landforms at the end of Black Bay Peninsula, called “ The Paps”. Southern exposure provides full sun for most of the day. Elevated higher above the shoreline but still close to the water, this nature retreat has daily sightings of eagles, osprey and peregrine falcons patrolling the shoreline and the channel. 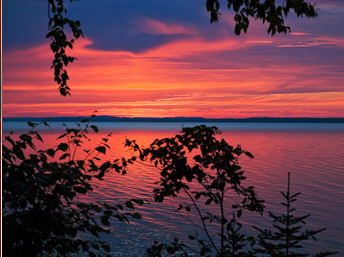 Wake up to beautiful sunrises over the pristine Black Bay peninsula and view both the entrance and the endless expanse of the north end of the bay. 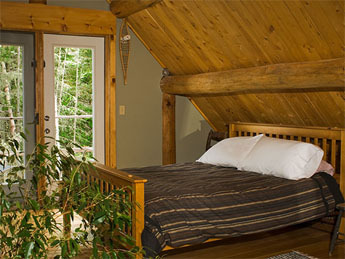 You will be the closest point to one of the regions best rainbow trout streams, Portage Creek. 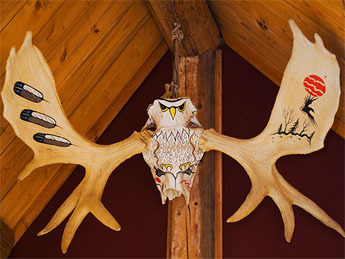 Canoe along the untouched Superior shoreline to the tranquil, and nature rich, slow-moving portion of the creek, and maybe catch a glimpse of the eagles nest in one of the old-growth white pines. 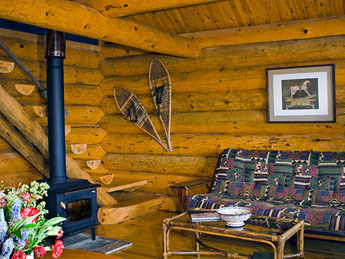 Located on a point, this larger and homelike two-bedroom log cabin can accommodate 4 to 6 people, or up to 8 people with air mattresses. 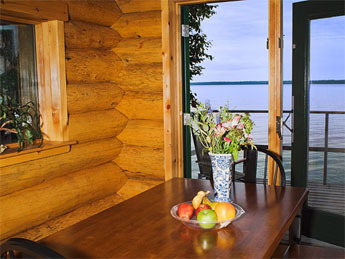 This cabin enjoys sunrises and the mystical view of the Black Bay peninsula as it penetrates into the weather systems of the great lake. Sun yourself on your open deck over the water listening to the waves or sit in your screened-in porch and watch the weather as storms and fog banks come up the channel and surround the peninsula. 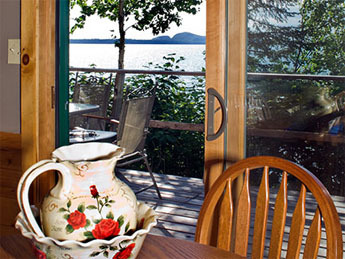 Enjoy the morning coffee with the sunrise from the separate dining room, or take it out the garden doors to the front deck over the water.